The transition from breast feeding to supplementary foods can be a challenge for both mother and infant. Read on to know more on how to wean your infant. If your kid is able to sit with support, make chewing motions, turn his head away, shows good reflex, it is time to start on solid foods. At around 9 months, your baby will be able to eat small pieces of soft finger foods. You’ll still need to spoon-feed along with formula or breast milk. Some great healthy finger foods include, banana slices, cottage cheese (paneer), cooked carrot pieces, roti, grapes, or other dry cereals. Avoid foods like raisins, grapes, raw vegetables, or hard cheese cubes as these can induce choking. Babies do not eat much of solid foods right away. So think those solid foods as only an introduction to your baby’s diet and not as a replacement to breast milk or formula food. Remember, introduction to solid foods will happen gradually. 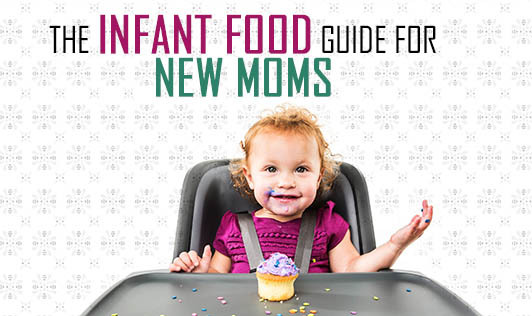 There is no hard and fast rule about starting any particular food for your baby. It is better to start with the most easily digested food grain, rice. Introducing one form of grain will help you identify if your baby is allergic to food or not. Until your baby gets used to the new texture, you can mix it with breast milk or formulas to get a runny consistency. It is new for your baby to be fed by a spoon. As all this while he/she was on a liquid diet, and would need practice to get used to a spoon and feel the new texture of solid food. So, don’t expect your baby to eat a whole lot, may be a teaspoon or two at a time. When you start on solid food, focus on letting your baby get used to the form of feeding. Cereals, pulses, fruits, vegetables, eggs, and even shredded meat can all be on your baby’s menu. But make sure you introduce them one at a time to see how your little one reacts to a particular food. Introduce these foods mainly in the pureed form and just put enough on the spoon for your baby to swallow easily. If your baby rejects any food, try introducing it again after a few days. Most pediatricians’ advice you to wait till your baby’s first birthday to introduce cow’s milk and honey. Honey should be avoided because of botulism risk which affects the baby’s immune system. Milk is avoided considering most of the babies below 1 year of age have a tough time digesting cow’s milk. Your baby will let you know when he/she is full. He might turn his head away, zip his lips tight, swat the spoon, cry, or spit out whatever you put in his mouth. Honor your baby’s instincts and stop when he/she is full. When your baby doesn’t welcome a new food, it doesn’t mean that he is a picky eater. Wait for few days and introduce it again. It may take a couple of times before he is ready to give a few foods a chance. Remember, since you are a role model to him, he/she would be more interested in what you eat and enjoy. So don’t force your child to eat until he/she readily accepts it. Your baby loves to imitate you. As he grows he will try to feed himself. And there are good chances for the food to land on the hair, clothes, and bib, and may be even on you. Eating solid food is a full body experience for your baby. So don’t get impatient as this phase won’t last forever.